Aspiring investors can’t afford not to exercise every financing option they have at their disposal. It’s time that new investors learned there are more ways to fund a real estate deal than through traditional means. More often than not, alternative financing options offer investors more of an advantage than the traditional ones we have grown accustom to. Through no fault of their own, most new investors believe that funding a real estate deal is the single, biggest obstacle standing between them and the payday they have dreamt of since they got into the business of flipping homes. That said, funding a real estate deal is a very real challenge, but it doesn’t need to be. In fact, funding a real estate deal is relatively simple — if you have options, that is. In order to give yourself the best chance of landing a real estate deal, familiarize yourself with the financing options you have and when to exercise them. If for nothing else, real estate is a numbers game. The more options you have to receive funding, the more likely you are to gain access to the capital you need. Consequently, those without several funding options are bound to find the road ahead a little more difficult to navigate. The more options you are given, the better off your business will be, which begs the question: How can new investors increase the financing options they are given access to? Fortunately, the answer is simple, and something even the newest of investors can do: educate yourself on the many ways funding a real estate deal is possible. If you are currently wondering where the funding for your first deal will come from, may I recommend the following non-traditional sources? You may find them to be your greatest asset moving forward. While those outside of the real estate investing sphere of influence may be less familiar with the concept of private money, those with boots on the ground have found it to be their most valuable asset for many reasons. As its name would lead you to believe, private money can be derived from just about anyone with extra funds that is willing to listen to your investment opportunity — so long as they are not associated with an institution. In other words, private money lenders don’t work for banks, nor are they “in the business” of lending money on a regular basis; they are — quite simply — anyone that is willing to let you bend their ear about a potential investment opportunity. That said, a private money lender is typically someone in your inner circle: family, friends, neighbors, coworkers, etc. That’s not to say you have to already know your potential private money lender; they could just as easily be a friend of a friend, or someone you are introduced to as a third-party. All that really matters is that they are not semi-institutional lenders that are licensed to do so, and they like what you have to say. It’s entirely possible that the first private money lender you decide to align your services with didn’t even know they were a private lender until you brought them an opportunity. Finding a private lender to fund your deal doesn’t need to be as difficult as many make it out to be. If for nothing else, you aren’t simply asking for money (nobody in their right mind wants to do that), you are bringing them an opportunity — an opportunity to make more interest on their money than they would if it was left in a bank. Typically, private money lenders will make somewhere in the neighborhood of six and 12 percent interest on the loan amount; that’s considerably more than their money would make sitting in a bank, and it acts as a significant hedge against inflation. In addition to the interest they stand to make on a deal, borrowers will be expected to provide a promissory note and a mortgage or trust deed, as to secure their investment — think of it as collateral. Remember, there are more than a few people out there with money that would love to invest in something secured by a real asset (the house you intend to flip). As luck would have it, you have the chance to offer them said opportunity. It’s the definition of a win-win; you get your money and they get a relatively safe investment opportunity. In return for the opportunity you present to private money lenders, you not only gain the funding to buy a property, but you also gain leverage in a respective deal. Most notably, private money offers investors a significant advantage over any of the competition using a traditional loan: speed of implementation. You see, many of the properties investors covet the most need to close fast — if they hope to get the deal, that is. And therein lies the greatest benefit of private money: it’s entirely possible for investors to close within 10 to 14 days (or less) with the use of private funds. Traditional bank loans, on the other hand, can take as long as 45 days to go through, if not longer. What’s more, private money presents your offer to the seller in the form of cash, which simultaneously removes the middle-man (banks) from the equation and significantly reduces the risk of a deal falling apart in the eleventh hour. Not unlike their private money counterparts, hard money lenders are not employed by traditional institutions (banks and mortgage companies); however, they aren’t simply friends or family members either. Instead, hard money lenders reside in a middle-ground, of sorts. More specifically, hard money lenders are semi-institutional lenders that are typically licensed to lend money to investors. And, not unlike private money lenders, hard money lenders provide short-term, high-rate loans with fees that allow investors to purchase and rehab properties. As you can see, the differences are subtle, but they are differences, nonetheless. Despite what their name may suggest, hard money lenders are anything but. In fact, obtaining hard money is relatively easy. Compared to a traditional lender, hard money lenders have a lot fewer “hoops to jump through.” They are also a lot less strict and much more reliable. For instance, hard money lenders don’t determine a borrower’s “worthiness” based on their credit history, but rather on the asset in question. As asset-based lenders, hard money lenders will typically decide if they want to lend to someone based on the viability of the deal they came to them with. If they are presented with a promising deal, the money is as good as yours; if not, you might need to move on. Fees for borrowing hard money are often high, sometimes as high as 15 percent with an additional five points (an additional upfront percentage fee). For the sake of comparison, traditional lenders offer interest rates somewhere in the neighborhood of four percent, but I digress. Don’t let the high rates scare you away. I maintain that the cost of doing business with a hard money lender is well worth it. Not only will you gain access to the capital you need, but you will also gain the same advantages offered by private money: a cash offering, speed of implementation and less exposure to risk — all of which are invaluable in today’s investor landscape. Better yet, a good rapport with your hard money lender could turn into more borrowing options down the road. As a departure from the previous two options, seller financing doesn’t rely on an outside lender, but rather one that has a stake in the deal at hand. As its name would suggest, seller financing will have the seller of a home offer the buyer an option to fund the purchase. More specifically, the seller of the property will agree to accept all or part of the purchase price in what are essentially monthly installments (the buyer is borrowing money from the seller, not a bank). Seller financing has become synonymous with the easiest and most cost-effective methods of funding a real estate deal. That said, the tricky part isn’t negotiating terms, but rather convincing the seller to do so. More often than not, sellers reject the idea of seller financing because they aren’t familiar with the concept. It may be difficult, but it’s not impossible. First, they have to agree to accept 100 percent of the purchase price. Then, it’s up to you to convince them that your efforts to flip the property will take place in less than 12 months. Doing so should provide them with peace-of-mind — peace-of-mind that they won’t have to wait long to receive their payment in full. If you are able to negotiate seller financing, you could find yourself with a few added benefits. For instance, it’s entirely possible to negotiate a deal with zero money down. 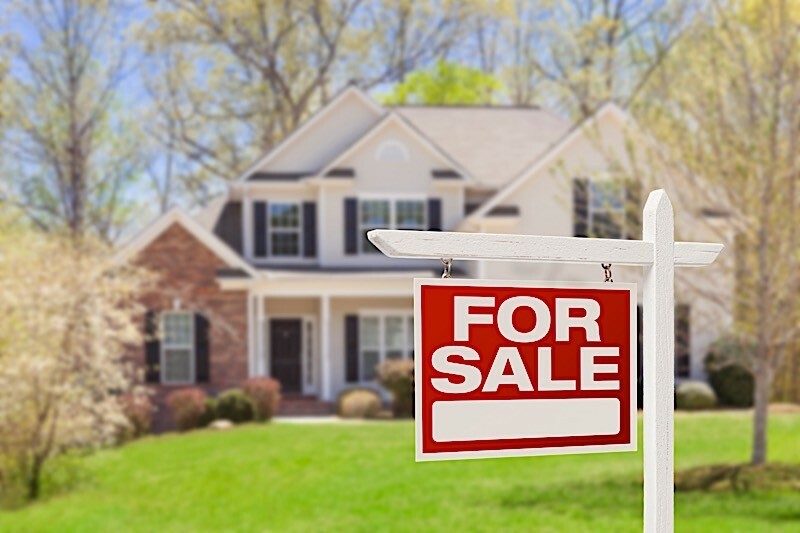 The seller could even offer you favorable terms; those you wouldn’t find when finding a real estate deal through other means. Funding a real estate deal doesn’t need to take place through traditional means. While it’s entirely possible to purchase your first deal with a loan from a bank, you will find that the alternative approach is often better. Specifically, hard money and private money are often an investor’s best friend. With the right lenders on your side, it’s not only possible to purchase your first deal, but also many more down the road. Don’t make the mistake of thinking your only course of action is through an institutional lender, and be sure exercise every option at your disposal. You could find that it’s the smartest choice you have ever made. Have you had much luck working with private or hard money lenders? What was it you appreciated most? Feel free to share your experiences in the comments below.